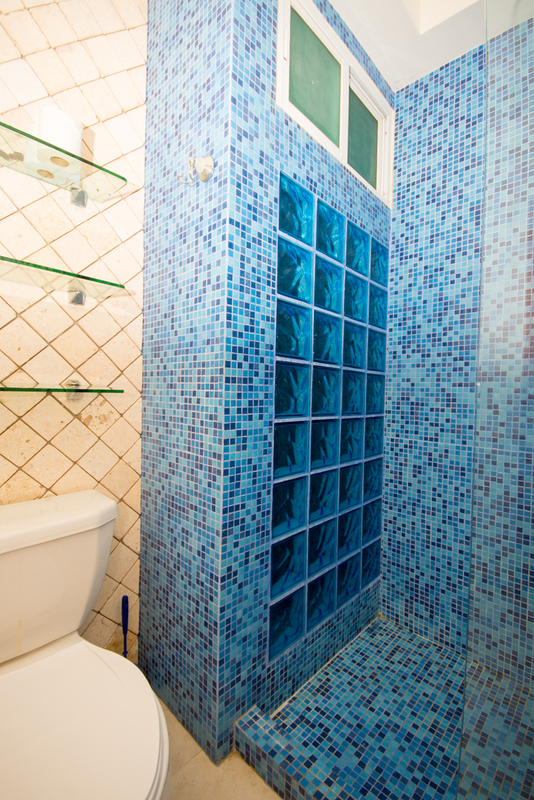 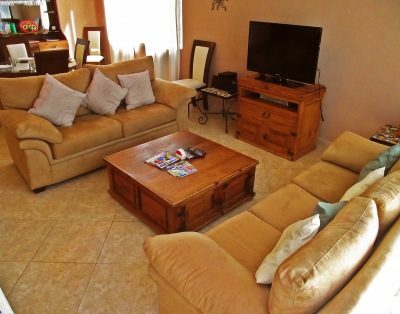 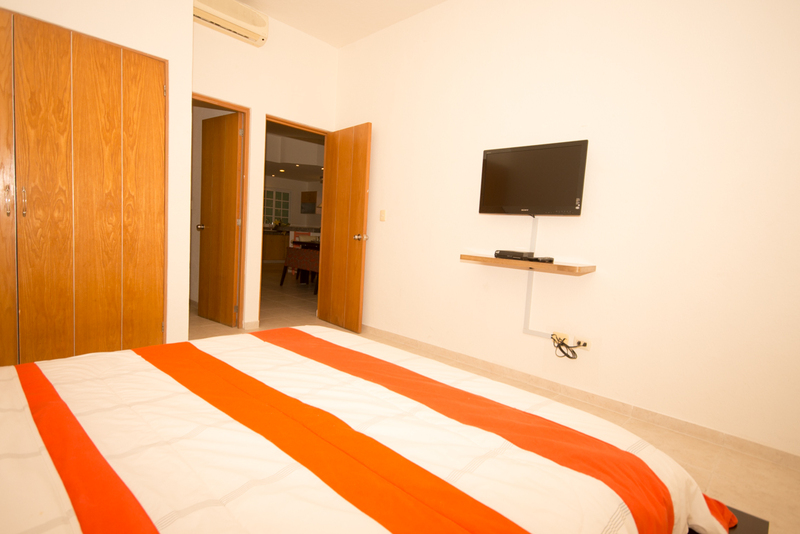 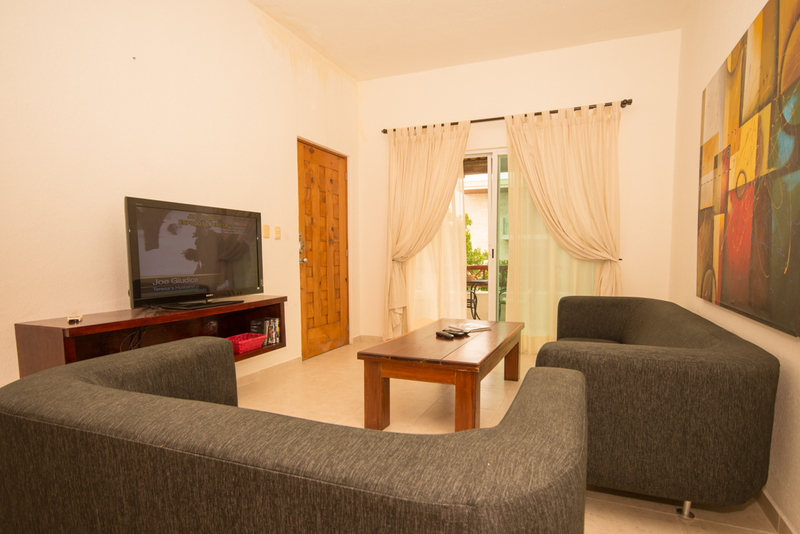 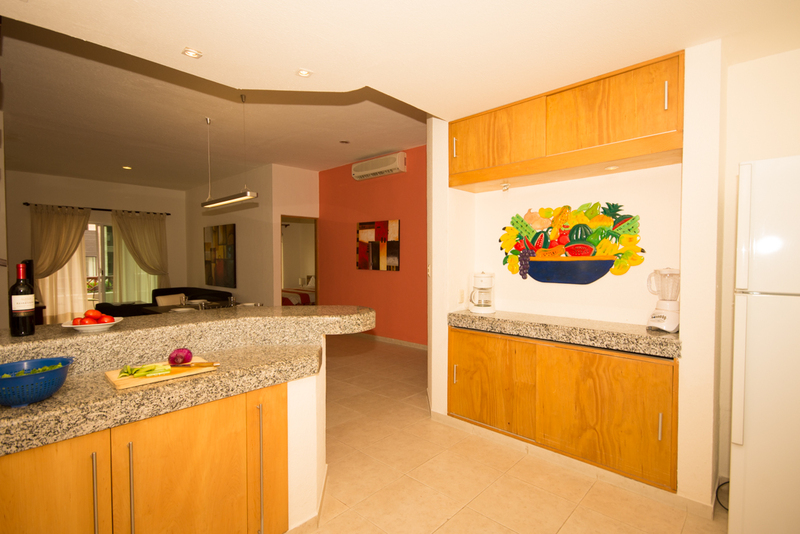 At 1500 square feet of living space with unusually high 12ft ceilings this condo is very spacious and is truly a rare find in Playa del Carmen. 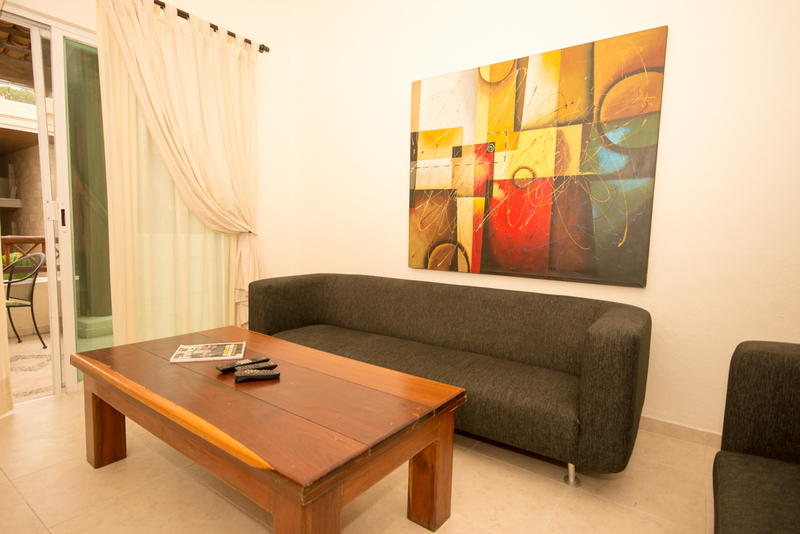 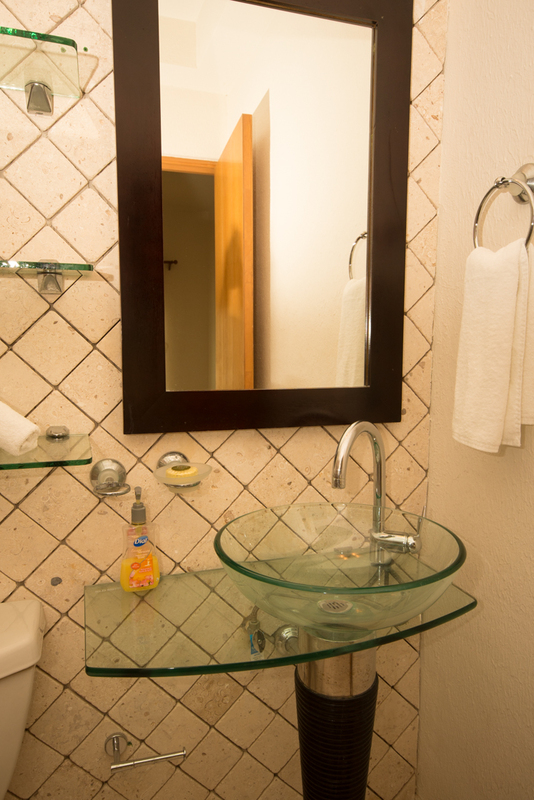 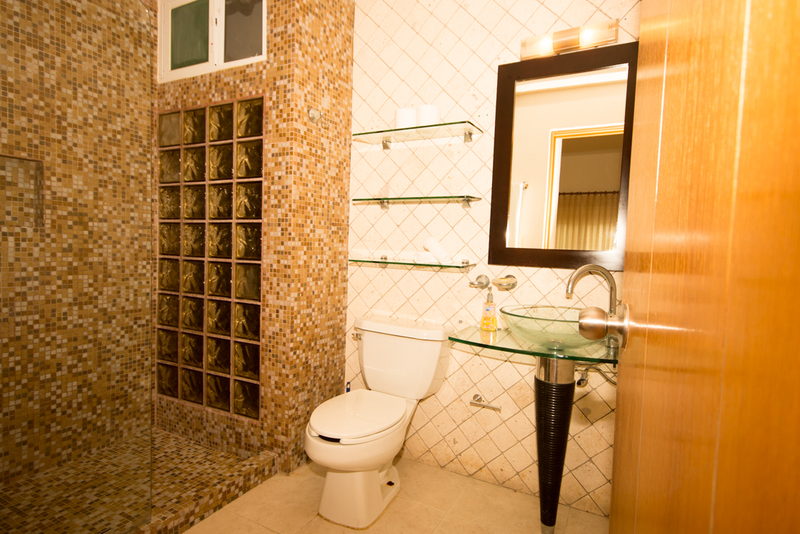 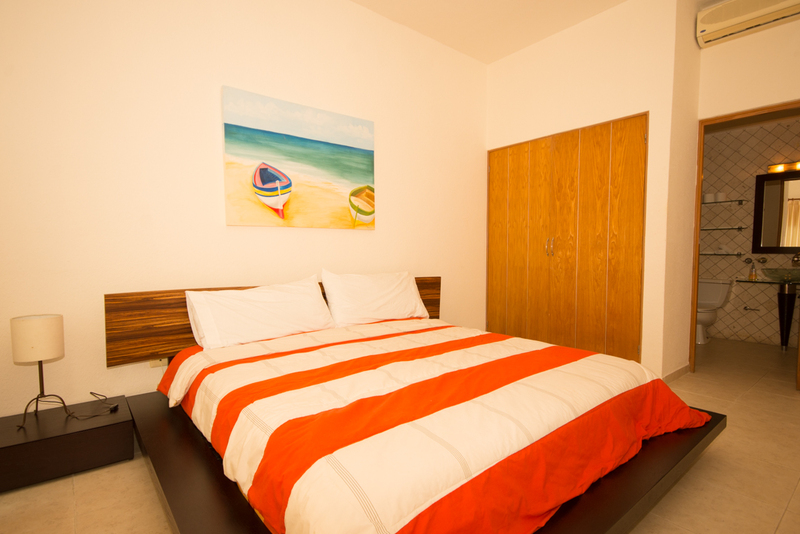 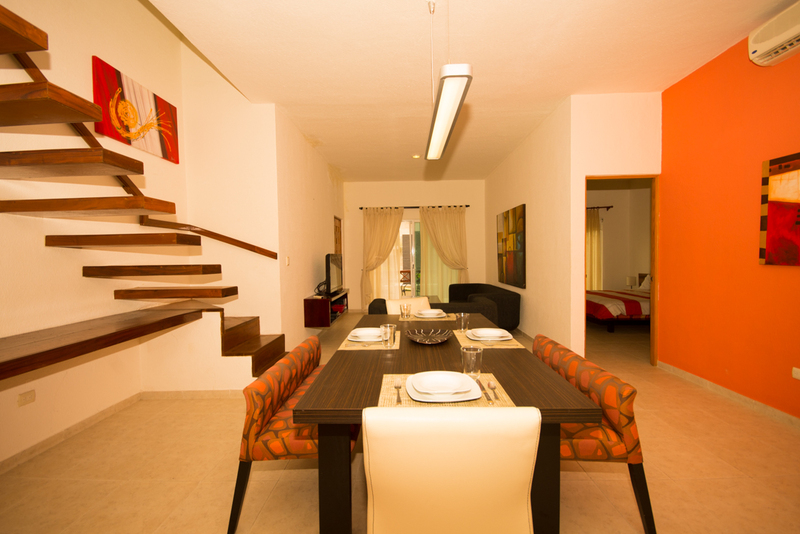 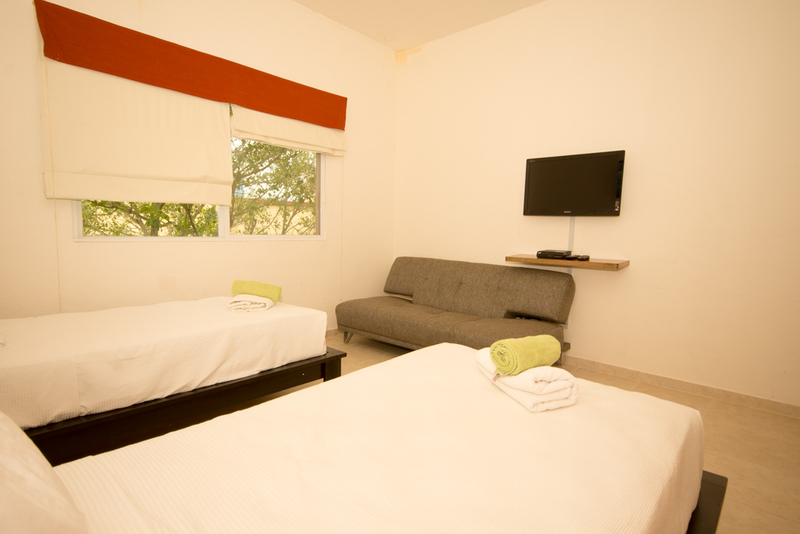 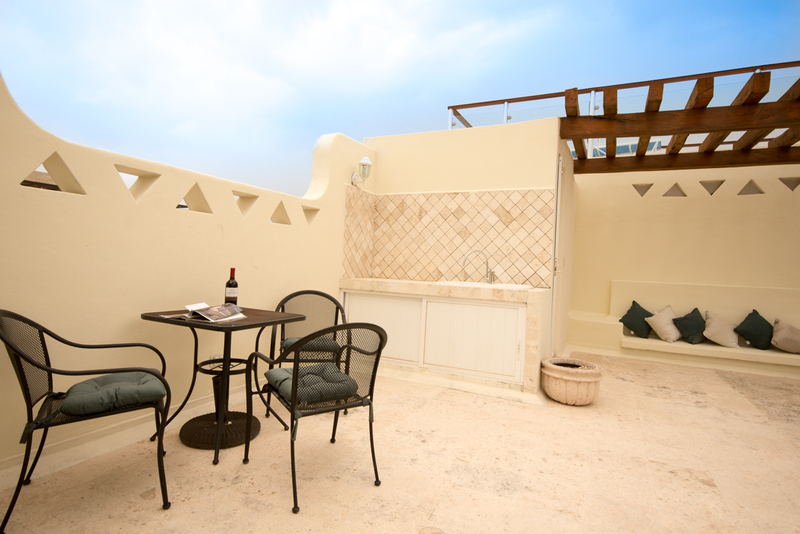 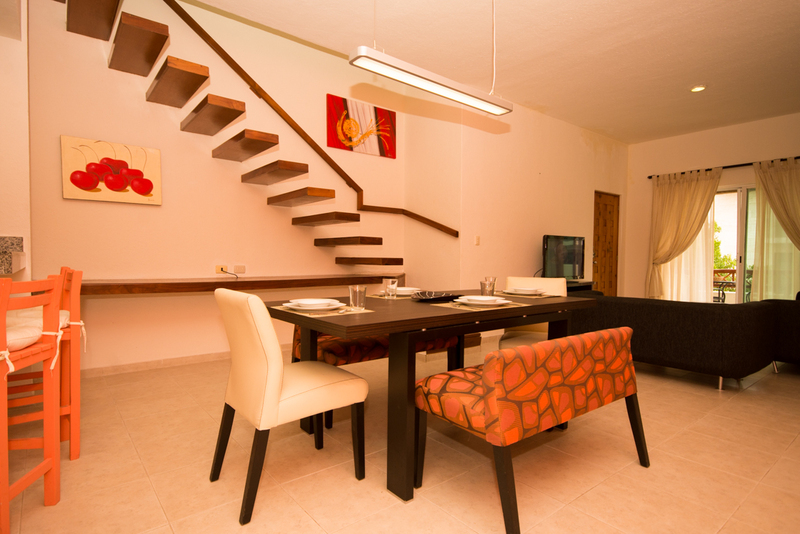 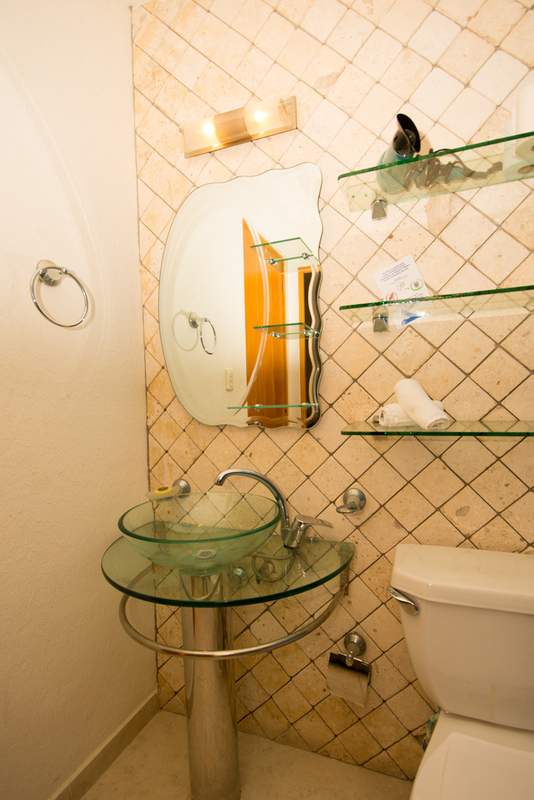 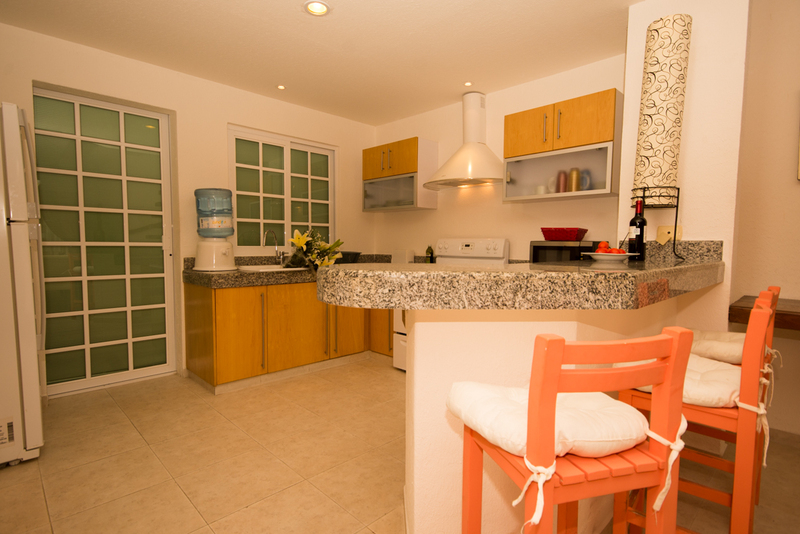 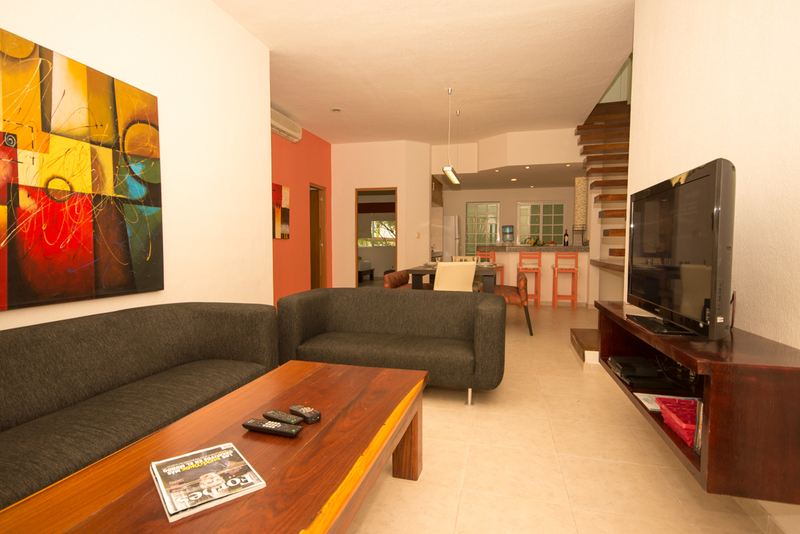 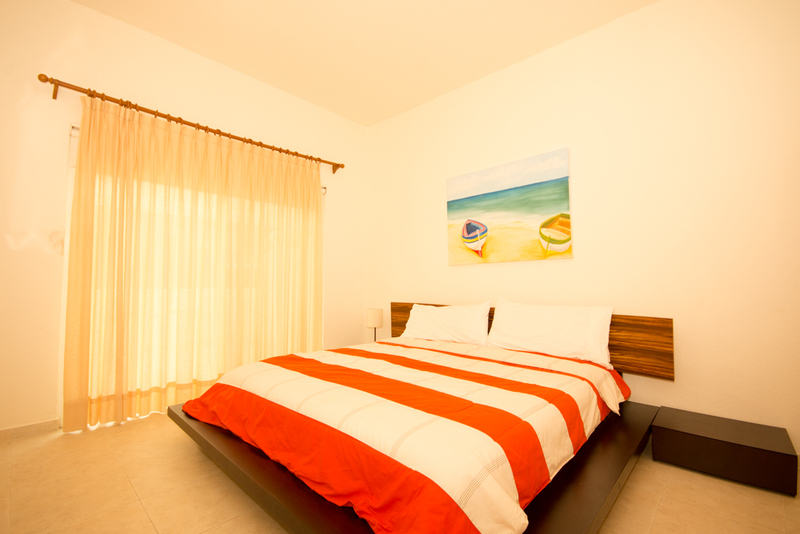 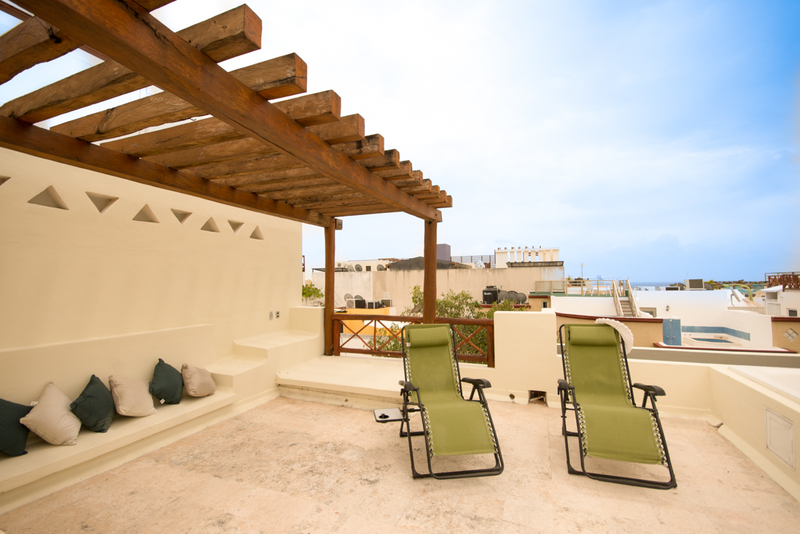 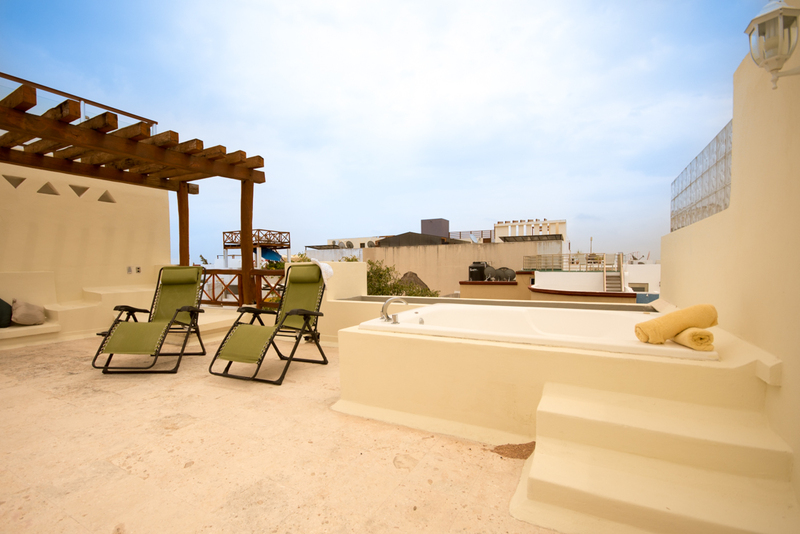 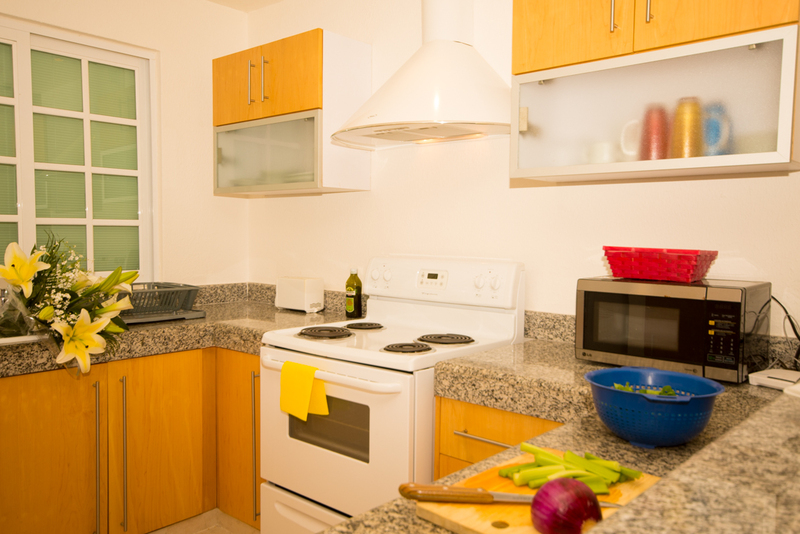 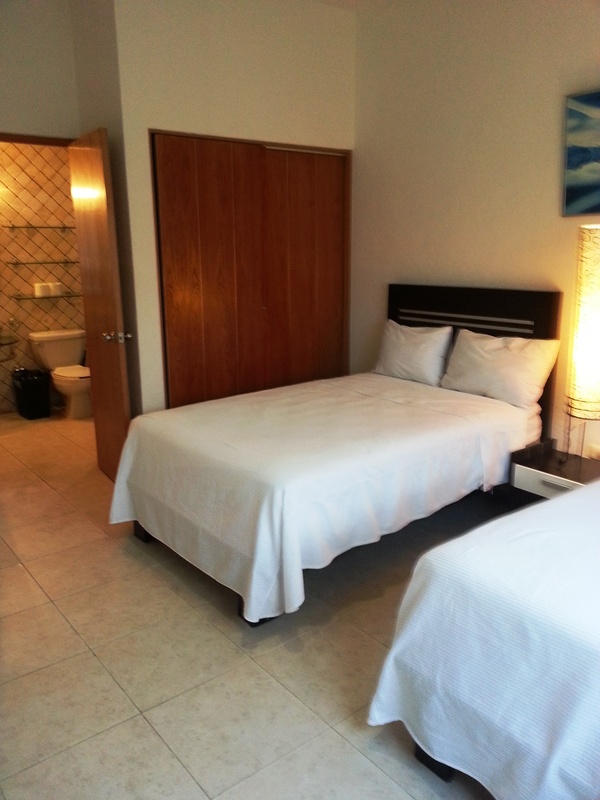 Penthouse Camila is a fully furnished two bedroom two bathroom Penthouse with a fully equipped kitchen. 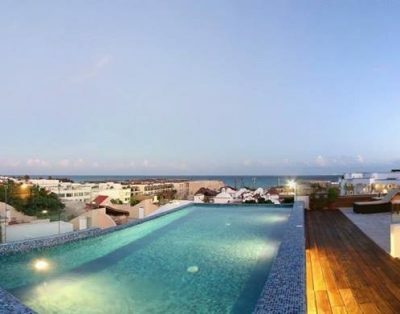 Excellent location on First Avenue with stunning Caribbean ocean views from your private rooftop terrace and a block from the infamous Fifth Ave., with all its glamour from restaurants to shopping and nightlife and only one block from Mamitas Beach, the most popular and hip beach in Playa del Carmen. 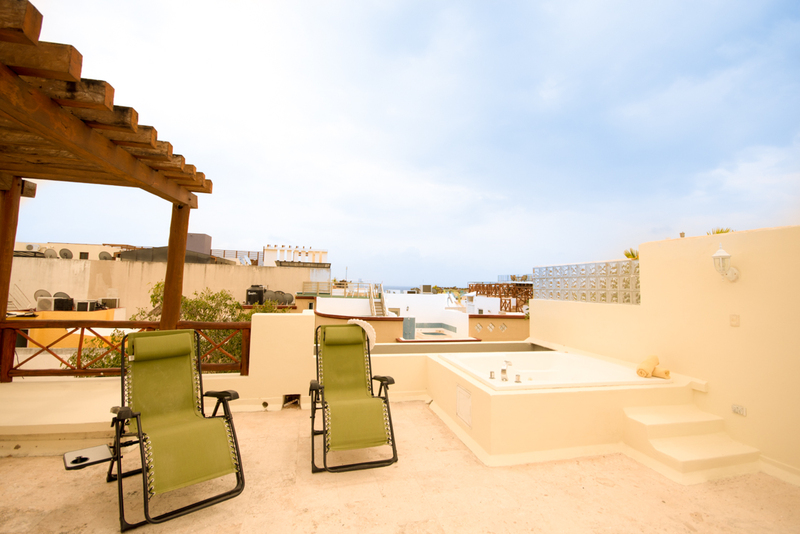 There is a roof top Solarium with a Jacuzzi, shower, table and lounge chairs. 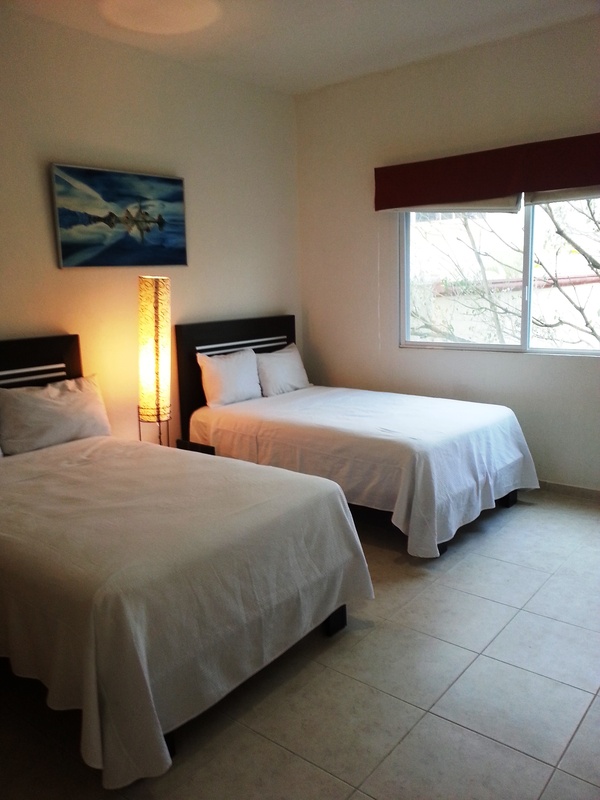 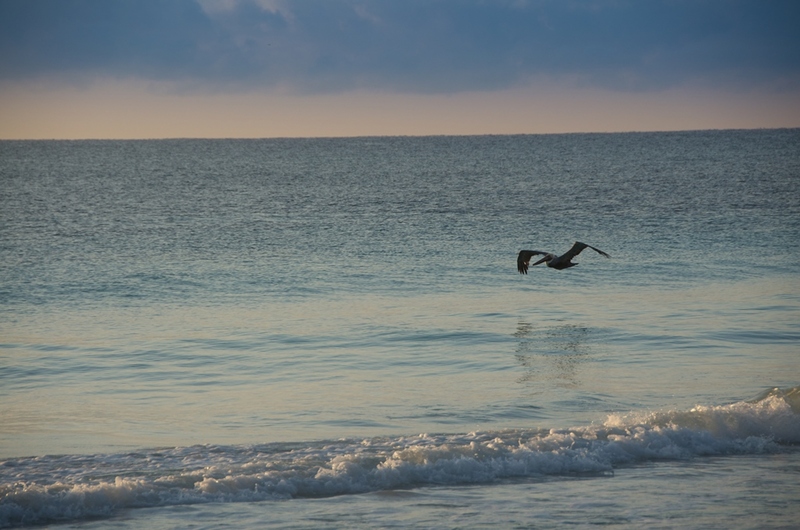 Every morning and evening you have a beautiful sunrise and sunset view of the ocean and the Island of Cozumel. 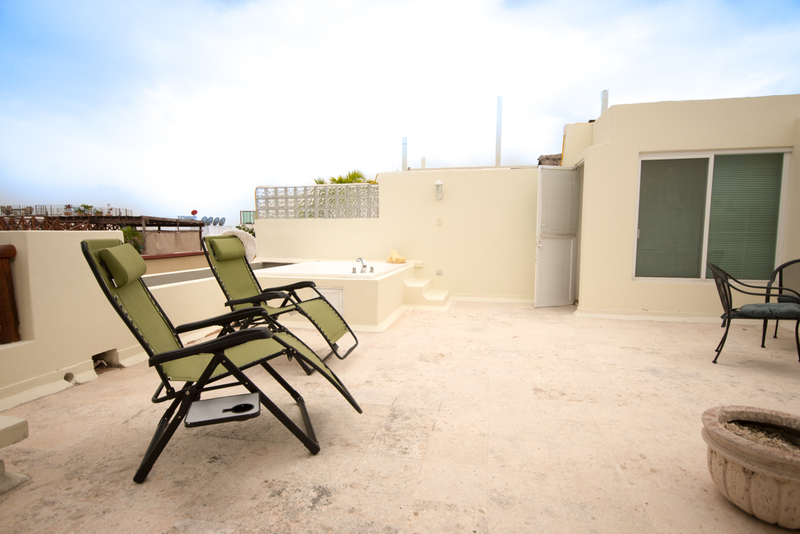 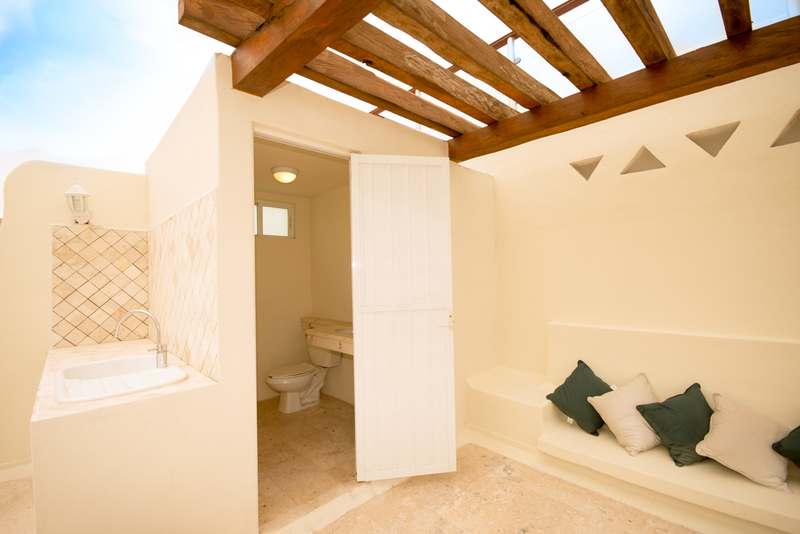 Take a dip in the Jacuzzi and watch the beautiful Caribbean Sea. 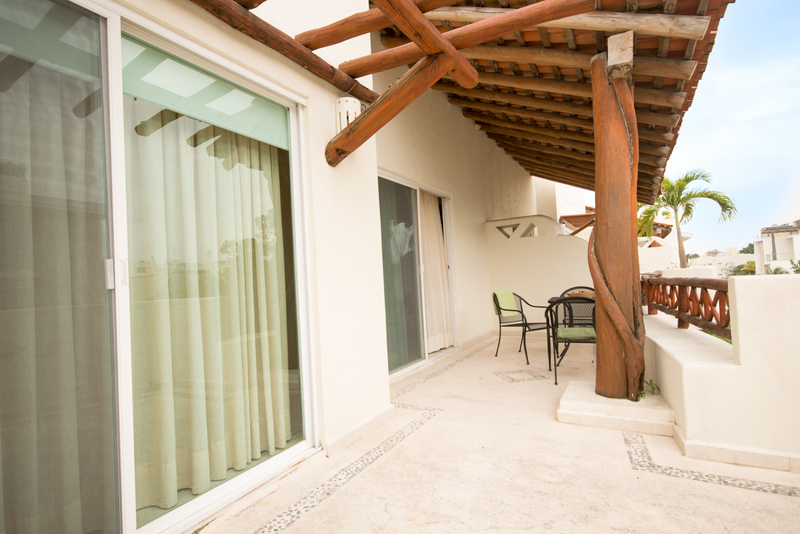 At Mamitas Beach you will find everything you need to have the perfect day..beach club, swimming pool, restaurants, bars, lounge chairs, umbrellas, water sports and a dive shop.